Hence, most Ahmadis have now a blinkered perception on the true nature of Islamic succession or 'Khilafat'. Many reject the very possibility of the coming of a Divine Elect in this era when they have their 'Khalifa' among them. They speculate and theorize that the special Grace and favour that the Divine revelations represent at any time can only be vouchsafed to the family elder - the 'Khalifatul Massih'- they have preferred for themselves (God forbid). The longstanding Islamic teachings about the coming of Divine elects among the Muslims in every era- of Mujaddidin, Khulafatullah, Massihain, etc. and the continuity of Divine revelations through the descent of Holy Spirit (Rooh-il-Qudus) on true servants of Allah (swt) seem to have no resonance on their deafened spiritual senses anymore! 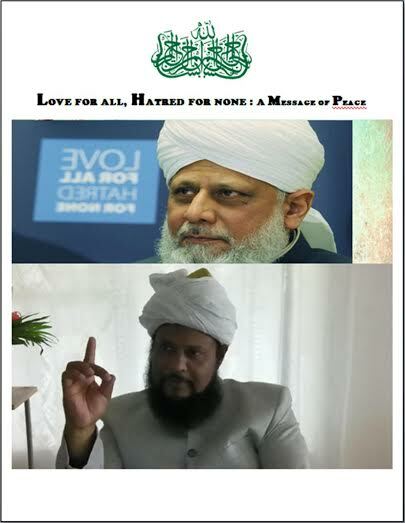 In his Friday Sermon of 30 May 2008 (26 Jamadi-ul-Awwal 1429 AH), Hadhrat Muhyi-ud-Din Al Khalifatullah Munir Ahmad Azim Saheb (atba) of Mauritius spoke profoundly on the larger meaning of 'Islamic Khilafat'. In this important sermon, Hadhrat Saheb (atba) explains the reality of the arrival of a 'Khalifatullah'- an Elect of God blessed with many spiritual titles such as Muhyi-ud-Din, Mujaddid, Massih, etc.- among the Ahmadis today with a Divine mission at a time when the practice of religion stare at decadence and decline among the Ahmadi people. Such a Divine favour on this humble servant of Islam is vouchsafed by God Almighty Himself in His infinite wisdom, and prudence lies in recognizing the great spiritual favour it represents- so that the Ahmadis may once again revitalize the enduring teachings of Islam in their everyday lives and thereby, revert to the pure worship of the Divine, rather than commit sheer idolatry to their assembly-elected chiefs. 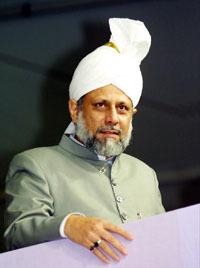 Pointing to the layered meanings of doctrines such as Islamic Khilafat, 'Qudrate Saaniyah', advent of Mujaddidin, etc; Hadhrat Khalifatullah (atba) demonstrates the limits of the current conception of Khilafat among Ahmadis, and the ways in which the present discourse corrodes the profound explanations left behind in all of his writings by the Promised Massih Hadhrat Ahmad (as) in the previous era. In the concluding part of his lengthy discourse, Hadhrat Saheb (atba) shares the Divine messages pertaining to the looming dangers and calamities facing humanity at large; underscoring the need for everyone to turn to God in repentance- leaving aside all that distances us from God-, invoking fervent supplications for spiritual protection and Divine intimacy. "Allah has promised to those among you who believe and do good works that He will, surely, make them SUCCESSORS in the earth, as He made Successors from among those who were before them; and that He will, surely establish for them their religion which He has chosen for them; and exchange security and peace after their fear; They will worship Me, and they will not associate anything with Me. Then whoso disbelieves after that, they will be the rebellious". Hazrat Huzaifa (r.a) reported that Hazrat Muhammad (s.a.w) said that prophethood will continue to stay among you for as long as Allah wishes and whenever there is a need to remove these favours, then Khilafat based on the system after prophethood will be established. Then Hazrat Muhammad (s.a.w) remained silent for a while. The lapse of time of his quietness, Hazrat Muhammad (s.a.w) was receiving some messages. That silence increased the inquisitiveness of the sahabas. That silence announced a message coming from Allah that He will send a Khalifa who will stand as a guardian and will guide people to the right path. But when this will continue, people will start having fear for the Khalifas instead of Allah (swt). And when this fear takes place in the heart, they will start having fear of man and they will invite others towards him, instead of ALLAH. From the verse, “Khalifa” is based from prophethood system. Allah raised this person with the status of prophethood where revelation descends upon him. We all understand that after the deaths of the four Khalifas of Islam, were there not Khalifas who guided their communities on the right path? This procedure had continued till Allah sent Mujaddids and even nowadays do you think that only the Ahmadiyya Association has a Khalifa, other Muslims sects do not have Khalifas? So to understand this (Khilafat based on the system after prophethood), when this system is being corrupted and misguided, by the grace and mercy of Allah, He raises a Khalifa on the prophethood system. The “Khalifatullah” as he is chosen by Allah. Allah raises him, and he is not elected by man. Then Allah takes controls over him completely. This verse of the Quran is very clear and there is no controversy into it; Allah makes a promise from this verse that those who do good actions, what are these good actions? Those who will worship Allah only and will never associate anybody to Him, that is, those who will have only the fear of Allah in their heart. Allah will give these people successors in this world. Allah will raise a Khalifa among them as a reward of these good actions and He will bestow peace and security after their fear. Hazrat Abu Huraira (r.a) reported that they were with Hazrat Muhammad (s.a.w) when the Surah Jumu’ah was being revealed and when this verse descended: “Wa aakhiriinaa minhoum lamma yalhakoubihim”, a sahaba asked Hazrat Muhammad (s.a.w), ‘who are these peoples whom you have not yet met?’ The prophet did not answer. The sahaba asked the same question twice or thrice. The reporter said that Hazrat Salman Farsi was sitting by the side of Hazrat Muhammad (s.a.w) among us. So the prophet of Allah (s.a.w) placed his hand on Salman’s shoulder (Salman was of Persian Origin) and said that if Imaan (faith) goes far away till its reaches Surrayya, that is the furthest star, a person of his descendant will bring back faith on earth. All of us do agree with this Hadith, that it refers to Hazrat Massih Maoud (a.s). No doubt in it. This question was being asked twice or thrice from this Hadith because Allah made His Rassool understand that when Imaan would go high up the furthest star, Surrayya, someone of Persian descendants of Salman Farsi (r.a) would bring faith back on earth. In other Hadiths, it is mentioned more than one person from his descendants. So, we understand fully that Hazrat Massih Maoud (a.s) was that chosen one to bring back faith on earth. Then when faith would go back to Surrayya again, people of his Jamaat will bring back faith to others. This Khalifa cannot appear from outside the Jamaat Ahmadiyya, the Jamaat of Hazrat Massih Maoud (a.s). Now, how can Imaan which has gone till the furthest star Surrayya be brought back on earth? How Hazrat Massih Maoud (a.s) brought back that Imaan? Through revelations – Divine Revelations. Allah spoke to him and guided him how to bring faith into the heart of people. He had to exile himself completely from this materialist world to seek help from Allah. Surely, Allah has guided him through revelations how to achieve this task. Imaan did not reach the earth like this. Hazrat Massih Maoud (a.s) had to suffer a lot, in this field of his bad health and persecutions. Despite all his trials and hardships Allah supported him and helped him through revelations. He wrote more than 80 books. Do you think that was an easy task to re-establish Imaan in the heart of people towards the Unicity of Allah? When he founded the Jamaat Ahmadiyya, only an Ana (Paisa) was left in the fund of the community. He was not worried about that Ana, but he was more worried about the millions of rupees which will come Insha-Allah in the fund of the Jamaat, but unfortunately, the money will be lavishly spent. This proved that at that time he knew that in the future Imaan will disappear from the heart of the Ahmadis. Imaan will go back to Surrayya. He came as a judge to establish justice and to bring people to peace and reconciliation. “Wilt Thou place therein such as will cause disorder in it, and shed blood? 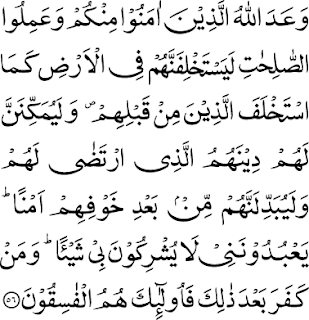 – and we glorify Thee with Thy praise and extol Thy holiness.” Allah answered, “I know what you know not”. Through this verse we understand that whenever Allah will send His Khalifatullah on earth, people will create much disorder. After the Khalifatullah, a system of Successors will take place. So, the angels did not object to God’s purpose or claimed superiority over Adam, the Khalifatullah, but there will be people on earth who will create disorder and shed blood. So the angels had already known the darker side of human beings but Allah know that His Khalifatullah is being endowed with such degree of morality and spirituality as to reflect the character of divine attributes. So the angels told Allah: “O our Lord, You are a Holy Being; We glorify You and Praises You. But verily Allah had already decreed to raise His Khalifa, and He created him, and the angels had to submit to His Khalifa (Hazrat Adam) whose Khilafat was based on the System of Prophethood (Nubuwwat). Advent of a Divine Elect: Whither Ahmadis? This verse mentions also “disorders on earth”. Whenever a prophet proclaims himself to be a recipient of divine revelations, normally they will be upset by this breaking news because they know that they are having a luxurious life, sins, comfort, vices in which they find much pleasure and also they deviated from truth, from the true teachings of Islam. They are taking themselves to be God on earth. So when the prophet of Allah starts to unveil their secrets, of course, when Allah informs him, they are not happy, because people who used to lick their boots will definitely leave them to attach themselves to the Khalifatullah. That’s the main reason they have to oppose him and create disorder. Disorders (fitna) never come from the side of the prophet. No! On the contrary prophets are on the defensive side always and the blood that is shed is the blood of the prophet and the true believers caused by the enemies as they will never be allowed to be deviated. They will prefer to be tortured rather than renouncing their faith in Allah and His Prophet. In Surah Noor, in the verse that I have presented to you, Allah says that after the period of fear He grants security and peace. Through this verse Allah shows a sign to recognize His Messenger. The sign is to warn people, over forgotten teachings, to announce to the believers the glad tidings of the great bounty from Allah. And to guide them in the right track so as the light of Allah will reflect from their heart. In fact, a prophet acquires power and power of tongue from Allah to establish the message of Allah. Nothing can happen without the help of Allah. Allah transforms these dangers and difficulties to peace and security. Think well over it. When Hazrat Muhammad (s.a.w) came to propagate the message of truth, he stood alone, without a dirham and on the other side the Arabs were not interested and opposed him fiercely but he stood for the cause of Allah. His enemies caused him a lot of difficulties and pain and even they planned to kill him. What did they not plot against him, but who were the best losers? He was ashamedly humiliated but finally he came out victorious and took hold of the whole country where the latter chased him and who were far away from the Unicity of Allah. Hazrat Muhammad (s.a.w) spread the message of the Tawheed which finally was accepted and established peace and fear of Allah in their heart. When you place your hand on the hand of the Khalifa raised by Allah (Khalifatullah), this means that you are protected and secured, despite your weaknesses. This is a miracle from Allah. He comes to help those who have placed their hands firmly in the hands of His Khalifatullah. Allah sends His Spiritual Leader, the Khalifatullah, when fear of people has taken place and love of Allah has disappeared from the heart of people, when ignorance has spread in all corners, when people has turned towards luxuries and comfort of this world, when people are strayed away from religion and when they become selfish and egoist. Victory, security, protection, and peace lie in the hands of the Khalifatullah as only Allah is responsible to direct him and to instruct him. Truth triumphs over falsehood. It’s true that when a Khalifatullah makes his apparition, very few people come to him and support him, but they also face that problem of adaptation because they also were used to lead a luxurious and comfortable life as the others but the difference is that they struggle a lot to maintain a pious life. The Khalifatullah comes with the Rouhil Qudus. It is here at this point where lies the difference between a Khalifa elected by Allah and a Khalifa elected by man because the former’s message and advice will be very different from the latter’s. He comes with a revolution, to create a new world. But people are used to the ancient world. They find it difficult to adopt themselves to him and they even think that he is practicing strange, queer and odd methods to change the mind and hearts of people. They forget that a prophet or a messenger who come in each era, his message is divinely applied. But people are much confused and have great difficulties to understand his move. Great scholars and great “mullahs” in religion fail in this situation and they lose their Imaan – they close the doors of revelation and prophethood. So if you are that lucky person to recognize him, someone who has come from Allah and multiples of signs have been manifested to prove his veracity, you should not be discourage, nor perturb, nor upset or affected. You have just to obey him if you really believe that he received instructions through the Rouhil Qudus. You should not get disturbed, just obey. If ever you think he is inducing people into error Allah will remove all these favours from him and he has to account for that and his punishment will be doubled or trebled than an ordinary man. This is the main difference between a Khalifatullah and other types of Khalifas. He will change the state of fright into that of peace. People will not be able to cope with the way he works as he goes only according to instructions of Allah. These types of people then prefer to leave the Khalifatullah, they turn into hypocrites and they become “Murtad” (atheists). When Hazrat Muhammad (s.a.w) passed away, Muslims were faced with all sorts of difficulties, then some of them became hypocrites, and finally they became “Murtad”. Muslims created much disorder among themselves; each tribe wanted a Khalifa from their respective tribes. The same happened in the time of Hazrat Abu Bakr Siddique, the first Khalifa after the demise of Hazrat Muhammad (s.a.w). He was much grieved and pained when Islam fell into such situation. He lamented in front of His Creator and supplicated Him through duahs. He cried so much that tears were running like torrential rainfall from his eyes. He prayed a lot for the welfare of the Muslims. Hazrat Aisha Siddiqua (r.a) said that when her father took the reign of Khilafat in his hands, when Allah confided him this responsibility of Khilafat, every tribe started revolution against him. She said that if ever these problems fall on a mountain, it would be torn into pieces. But only Allah was by his side, Allah was his sole protector against difficulties. This fear and fright was transformed into peace and security and the religion of Allah was re-established firmly. So, we cannot say that there will be no decline in religion. All great religions did face the same problems in the past. So did Islam when especially it is Allah Himself who has established it, and where we are honoured with “the Seal of the Prophets” (s.a.w). Now what can we see? Muslims too have not been spared with this declination and moreover every Muslim (on their lips) is said to be found in the Ummat of Hazrat Muhammad (s.a.w). Since the arrival of Hazrat Massih Maoud (a.s) till now, nearly 115 years elapsed, no one has succeeded to be united with the Ahmadiyya Jamaat. Yes, other Muslims did come to embrace Ahmadiyyat, individually or in families, but not as a whole community. Do we have at least a Muslim sect in the world who has left everything and come together in the Jamaat of Hazrat Massih Maoud (a.s)? Frankly speaking, I do not know or even heard if it ever happened. If ever you know, so do inform me please. I am making an appeal to the whole world. So everything declines when reaching its climax. When the sun rises, then after some time it sets. Do not think that this means Qayamat, the Last day; but the greatest Qayamat is when a Chief of a Jamaat establishes injustice among the members. He will speak out arrogantly and show his superiority, his power of control, he will humiliate people and make them afraid of him and make them to suffer, threatening them of blowing them out of the Jamaat. This shows the declination of a Jamaat, the Qayamat. At this particular time, their true faces will be unveiled. They will torture the true believers. Now I am going to illustrate some sayings of Hazrat Massih Maoud (a.s) about this subject, otherwise my sermon will be too lengthy. In one of his writings, “Shahadat-ul-Quran” p.48-60, Hazrat Massih Maoud (a.s) said that “Qudraté Saaniyah” is eternal till the Day of Judgement, which means that he is referring to the word “Qudraté Saaniyah” which is applicable to Khalifa and according to Hazrat Massih Maoud (a.s) who is a Khilafat-é-Rassool which included the four Khoulfa-é-Rashideen. They were the successors after Hazrat Muhammad (s.a.w) and they were also Mujaddids. Islamic Khalifas, that is, the “Khoulfa-é-Rashideen” after Hazrat Muhammad (s.a.w) were very useful and needful to continue the great work of Hazrat Muhammad (s.a.w). Other Mujaddids came also in each century for a follow up. All Muslims without exception believe that Mujaddids will appear in every century till the Day of Judgement (Qayamat). Nowhere in his books is written that Khilafaté Ahmadiyya will be eternal. He mentioned only two things which will be eternal: Qudraté Saaniyah & Islamic Khilafat. He said that Qudraté Saaniyah includes Khilafat but not “Khilafaté Ahmadiyya” precising that this Qudrat has a similarity with Qoudrat found in Hazrat Abu Bakr Siddique (r.a) who was the first Islamic Khalifa. In other words, Hazrat Massih Maoud (a.s) wanted to explain that Qudraté Saaniyah is comparable to Islamic Khilafat. He defined the Islamic Khilafat including the successors after prophets and Mujaddids, that is, prophethood will continue in all time till the Day of Judgement to revive all the lost teachings brought by Hazrat Muhammad (s.a.w) from the Holy Quran. These teachings have been manifested by man. And also he stated that Mujaddids will make their appearances from time to time whenever he is needed. So we understand that Allah will always raise His Mujaddid till the Day of Judgement. And it is true that we cannot deny that Allah will continue to speak and raise His Nabi/prophet or Mujaddid among the righteous and pious believers. Do you think a Reformer or a Reviver of Faith will not make his appearance? 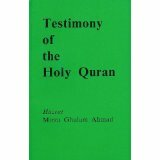 Had Allah not stated from the Holy Quran that He does not punish people as long as He does not send a Warner among His people? He will continue to send His chosen ones, not man; especially when all teachings of Islam have been trampled under their dirty feet. Do you think Allah will leave His teachings in this dust? In Shahadat-ul-Quran on p. 46, Hazrat Massih Maoud (a.s) said: “In each century, the teachings in all aspects will be preserved; Mujaddids will come with the power of Allah with intellectual faculties and qualities to reform those who have been completely deviated by Shaïtan. This brings man in compete darkness and follow the path of Shaïtan only.” And I (the Khalifatullah of this Era) state also that when man cast aside spirituality and they cling themselves to the luxuries and businesses of this world and some are Muslims only by name, as a routine, so only Allah (swt) knows the secrets of all these hearts and He knows that a Khalifatullah is necessary in this century. Another important point found in the Holy Quran is the letter RA in ALIF LAM RA – This letter refers to the “permanent institution of Mujaddids”, the coming of Mujaddids till Judgement Day. All these are great miracles and victory which the true believers of Hazrat Muhammad (s.a.w) will have till the Day of Judgement. If I am not mistaken, I think it is written in the book of Hazrat Massih Maoud (a.s) in Roohani Khazain No.2 Vol.2 p.63 – May Allah guide me on this matter! And Hazrat Massih Maoud (a.s) continued to write in the same book (if it is not exact, please do inform me), where he said: “We are used to wear clothes. After one week, they become dirty and need to be washed. With the passing of each century, should there not be a Mujaddid to come?” This means that Mujaddids must come to revive and reform man throughout the whole world. So the role of a Khalifatullah or a Mujaddid is the same. The same happen with our body which second after second becomes old and our health is affected. The same happen in religion, from one century to the next century, spirituality dies away, gets deteriorated. It is at this particular time that Allah sends His Vicegerent on earth. A Khalifatullah is here to revitalize the new generation by the laws of Allah (Sunnat Allah). So, it is very important to have among us a prophet of Allah who has come to revive all the divine teachings which got lost through generations throughout centuries. Allah (swt) sends His vicegerent (Khalifatullah) on earth or a Mujaddid or a Messiah. Hazrat Massih Maoud (a.s) wrote in his book “Izala Auham” p.197: “I declare myself as the Promised Messiah (a.s). I am not the only one proclaiming myself as such and neither am I the last Massih Maoud.” Then he continued: “According to me, it is possible that after this century, there will be 10,000 Promised Messiah who will come but in this (particular) century, I am the Promised Messiah (a.s)”. 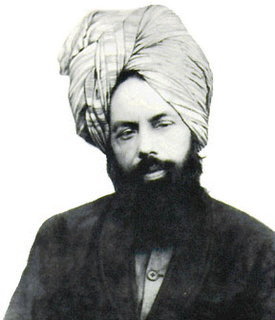 Now after having understood the writings of the Promised Messiah (a.s), Hazrat Mirza Ghulam Ahmad, no one has the right to object to his belief concerning the apparition of a Mujaddid or Khalifatullah (or Messiah) which goes according to the teaching and perception of Islamic Khilafat. But unfortunately, people of the Ahmadiyya Association are propagating blindly the misconception concerning the Khalifa and they even have the guts to say that “Khilafaté Ahmadiyya” is eternal and moreover they say that “Khilafat is our life!” but where have they kept their belief in Allah and His Rassool (s.a.w)? Where is the Tawheed, the credo of Islam “Laa Ilaaha Illallah Muhammadur Rassoollullah” gone? What they are preaching are against the teachings of the Promised Messiah – like this saying: “words from the mouth can fly away but hand-writings do remain”. His writings are here. These Ahmadis are pretending to be the great defenders of Islam and Ahmadiyyat. They pretend to have got the exclusivity of the license to defend Islam, and not others. But what happened? They want to raise a creature of Allah, elected by a board of Amirs in the world. They are raising him much higher than Allah (swt), His Rassool Muhammad (saw), the Quran Shareef which descended upon our Beloved Prophet (s.a.w) and also the teachings of Hazrat Massih Maoud (a.s). And you, what are you doing? “Wa iza qaala Rabbuka lil-Malaa-ikati ‘Inni jaa-iluu fil arzi Khalifah”. Allah explain that: “And when thy Lord said to the angels, ‘I am about to place a vicegerent in the earth”. Allah said to the angels: ‘Inni jaa-iluu fil arzi Khalifah’. When Allah sends His Khalifa taking the name of Allah the latter says that Allah has raised him as His Khalifa and he mentions His revelations, they all turn their backs ridiculing him and treating him as a liar, a “Bimaari” (sick), whereas the Khalifa elected by people, since five years now, he has not mentioned that he received a single word as revelation from Allah. He never uttered that Allah has spoken to him and instructed him to do this and that. But this Khalifa the whole world take him as an idol. Compare these two Khalifas. Think over it. So stop mocking, or ridiculing a Khalifatullah. Think over the wrath of Allah. Allah has already started manifesting His anger throughout the world. Do not take this situation lightly, of little or no importance. We cannot know what can happen in a fraction of a second. How Allah can manifest His wrath? Mind you, your punishment will be doubled because you are followers of Hazrat Massih Maoud (a.s). After having trampled his teachings to dust, then Allah manifest such a wind which makes this dust blind you, and thus you just cannot see at all the signs of Allah; it will be very difficult. The eyes become swollen and unable to see, and you are left in complete darkness. To conclude, Allah has informed me about the calamities to come. So, bear in mind that there will be so many corpse like the image of Qayamat Day and rivers of blood will flow. Animals also will not be spared. There will be such destruction as never seen before since the creation of man. Most of the buildings will be completely destroyed, there will be ruins everywhere. They will resemble like deserts; inhabitable places, as if nobody have ever lived there. We will face destruction coming from the sky. So both the sky and the earth will be shaken till only intelligent people can recognize that this is not ordinary disasters which have not been mentioned in other books. Then people will realise “what to do now?” Some people will be saved but most of them will be destroyed. The day is not too far to come. And even I have to say that these calamities are behind the door. The world will have to face the scene of Qayamat, not only earthquakes; there will be other frightened scenes, destructions over destructions, because people have ceased to worship the unique Creator. All hearts and soul have been deviated to mundane affairs. Idolatry has taken form in all ways; in statues, sun, moon, all created things of Allah, plants and in all perishable things. Idolatry has even taken the form of human beings where they have taken creatures of Allah as the Creator. Those who ask sincere repentance (Taubah) will be at peace. And so do those who have fear of God before this destruction occurs. So do come together for Allah is full of pity for His creatures. Do you think you can all escape these calamities? Surely not! So, ask for Allah’s forgiveness; repent and stay awake in duahs and supplications so that Allah may have pity upon you all. Those who have turned their back to Allah and His humble messenger, have ridiculed, mocked at His signs, surely they are the best losers and arrogant. And they are not deemed to be called “human”. Those events which happened some weeks ago are really frightening and queer. According to these signs, the third world war is not so far! Allah knows better whether I have well understood the message He gave me. But nevertheless it point towards the lost of many lives and great wars. An atomic war is not so far to explode. Allah knows better when this war will be declared, but we must stay in long prayers and supplications to Allah. Only Him who will protect us from these disasters, calamities and reinforce our Imaan. He is the only one who can show us many signs to recognize His veracity. So turn towards Allah only. Insha-Allah.